Everyone wants great-looking teeth, and a big part of having a beautiful smile is having teeth that look white, bright, and clean. At Sunny Dental Care in the Lower Manhattan neighborhood of New York, patients can choose between in-office whitening and customized take-home whitening kits to help them get the results they desire. Dr. Lily Eng is skilled in professional-strength whitening treatments that erase years of yellowing and stains. 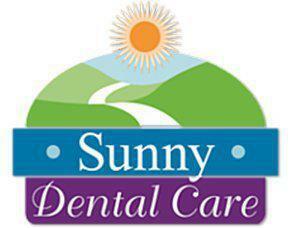 In just one hour you can have your beautiful bright white smile back by visiting Dr. Eng at Sunny Dental Care. Call for your appointment today. Why do teeth become yellowed and discolored? There are many factors that can cause teeth to turn yellow, gray, or dingy-looking, including poor oral hygiene and use of tobacco products like cigarettes, pipes, and chewing tobacco. Some dark or bright spices like turmeric can contribute to discoloration and yellowing over time, especially when the tooth enamel is temporarily softened by foods and drinks that are high in acid content, like citrus juices, sodas, and energy drinks. These stains affect the superficial layers of teeth, and can be treated with in-office treatments or take-home professional-strength whitening kits. How is in-office teeth whitening performed? In-office whitening uses a special gel that’s applied to the tooth surfaces. Treatment begins with the application of a special gel or soft rubber guard to protect the gums while the gel is in place on the teeth surfaces. Dr. Eng will apply the gel carefully to each tooth, then a special light will be applied to activate the gel so it can penetrate deeper into the tooth surface. In-office whitening takes about an hour, and it provides dramatic results. Are take-home whitening kits I get from the dentist better than ones I can buy in the drugstore? Yes. Dr. Eng begins by taking impressions of the teeth so whitening trays can be created that hug the contours of the patient’s teeth. This puts the whitening gel closer to the tooth surfaces so it penetrates deeper to get more consistent results than those obtained from over-the-counter bleaching kits. Plus, Dr. Eng will examine the teeth prior to whitening to check for tiny cracks and chips that can increase the risk of sensitivity during treatment. Some patients may have mild sensitivity during teeth whitening treatment, but it will resolve soon after the treatment has ended. Professional whitening can help reduce the incidence of sensitivity by correcting tiny flaws like chips and fissures before whitening and by using a special gel or guard to protect the gums during whitening treatments in the office. Yes, professional teeth whitening uses special advanced formulations that have been approved for use under a dentist’s care and guidance.